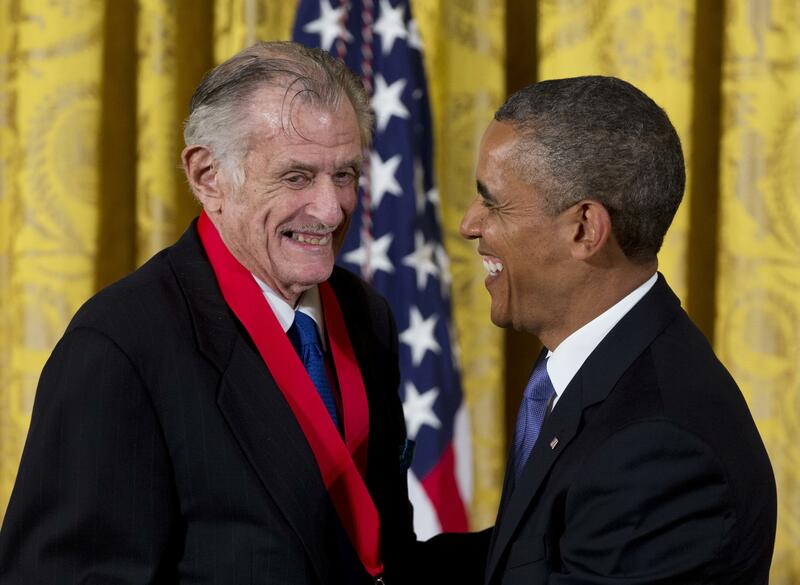 UPDATED: Mon., May 29, 2017, 9:19 p.m.
Frank Deford, the award-winning sports writer and commentator whose elegant reportage was a staple for years at Sports Illustrated and National Public Radio, has died. He was 78. He died Sunday in Key West, Florida, his family said Monday. Deford was a six-time Sports Writer of the Year and a member of the National Association of Sportscasters and Sportswriters Hall of Fame. He wrote and spoke with a lyrical touch and this month retired from NPR’s “Morning Edition” after 37 years as a contributor. Deford called the award the one he is most proud of. His long profiles, covering all corners of sports, were for years a showcase in Sports Illustrated. He also dressed up in a more literal way, always sharply attired and cutting a debonair figure at 6-foot-4 with his shock of dark hair and thin mustache. Deford was a prolific book author, including several novels, and contributed commentaries to HBO’s “Real Sports” program and hosted documentaries on the cable network. Among Deford’s books were “Heart of a Champion,” which chronicles the career of athletes who appeared on Wheaties boxes, and a biography of tennis great Bill Tilden. And he understood why the games have such a hold on so many. Deford grew up in Baltimore and graduated from Princeton. He joined HBO Sports in 1995 and his first report chronicled life in Augusta, Georgia, outside the Masters. It was called “The American Singapore.” He delivered 119 segments for the show and was a feature reporter at Wimbledon in the 1990s. Bryant Gumbel, host of “Real Sports,” said Deford joked with him a week ago about finally being released from the hospital. Deford is survived by his wife, the former model Carol Penner; two children; and two grandchildren. Published: May 29, 2017, 7:30 p.m. Updated: May 29, 2017, 9:19 p.m.